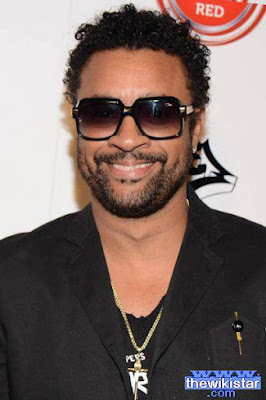 Shaggy's life story, his real name Orville Richard Burrell, singer and deejay US Jamaican, born on October 22, 1968 in Kingston - Jamaica. Biography Life Story of Shaggy. Awards and Honors for Shaggy. Full name: Orville Richard Burrell. Country of citizenship: the United States, Jamaica. Country of residence: Brooklyn, New York. Date of Birth: October 22, 1968. Work: singer, poet, composer, Digi. Shaggy was born in 1968 in the city of Kingston, Jamaica. When he was 18 years old he moved with his family to Flatboh Brooklyn district, New York. Was a soldier in the US Marines, took part in the war to liberate Kuwait in 1990 with the then US forces in Operation Desert Storm. Musical career began in 1995 with the song (Boombastic), and which has achieved great success, but the greatest success was achieved by album (HotShot) which was launched in 2Shaggy especially Ognite (It Was not Me) and (Angel), which achieved international success. Pure Pleasure (1993), Original Doberman (1994), Boombastic (1995), Midnite Lover (1997), Hot Shot (2Shaggy), Lucky Day (2002), Clothes Drop (2005), Intoxication (2007), Shaggy & Friends, Summer in Kingston (2011), Rise (2012), Out of Many, One Music (2013). Best Reggae Album in 1996.